Christina is a writer, educator and academic with experience of university teaching, online learning and digital content strategy and production. She has developed stories in many forms: as a journalist, author, magazine editor, digital communications producer, online community builder — and nurse. Inspired by the potential of technology to increase accessibility to learning for people at all levels and from all walks of life, Christina has been developing new ways of teaching writing for 15 years. 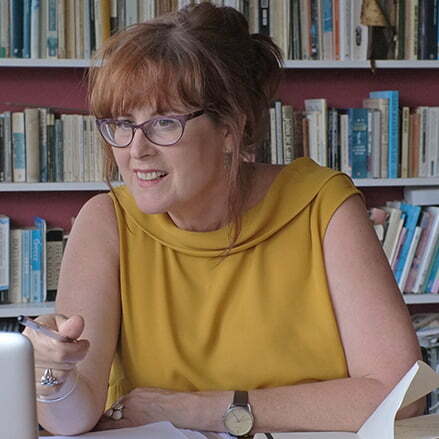 As an academic, Christina devised, produced and managed online and face-to-face university undergraduate and postgraduate courses in writing, as well as apps and ebooks — all the time keeping a close eye on how the industry was changing and building a network of industry-connected advisors and talented tutors. She co-founded The Professional Writing Academy to bring top quality, professionally focused online writing education to everyone, whatever their background, whichever time of day or night they wish to study, and wherever they live in the world. Christina has had an eclectic career, but her focus has always been on helping people tap into their inner resources to achieve the best they can — from staying alive to escaping a dull career, to publishing a bestseller. She considers herself fortunate to work with an amazing group of writers and story creators in many different fields who share that most elusive of abilities: the skills and desire to nurture talent.